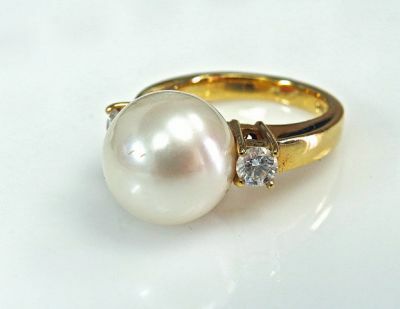 A stunning modern 18kt yellow gold ring featuring 1 white with creamy overtones and good luster South Sea pearl, approx. 12.63mm and 2 round brilliant cut diamonds, est. 0.45ct (clarity: VS & G-H colour).